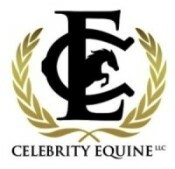 Celebrity Equine LLC has been involved with various aspects of the equine community, around the globe. The company was started by A.J. Schlatter Flynn, who is a Life Member of USEF & USHJA since 1998. A.J.S. Flynn was closely involved with “Horses Today” a national cable Television Show; Produced by Elaine Klugman & edited by Shari Norton. Celebrity Equine LLC began representing Bio-pulse Therapeutic Blankets & Laser Products for the Elite Equine. In 2004, Kevin Flynn took over management & operations. Kevin integrated quality Alfalfa Hay, Bermuda Grass & Canadian Timothy. Ametza Bulk & Bagged Pellets are available in Alfalfa, Alfalfa/Bermuda, Bermuda & Artoa. Celebrity Equine sells Canadian triple cleaned pony Oats & Veterinarian supplies at discounted pricing. Celebrity Equine also represents the full line of FARMVET products, Precision Joint Solution, Equiderm & all Burlington Jumps & Poles. Presently, Kevin serves as the Chair for the Scottsdale Community College Equine Advisory Committee and resides as a Member of the Board for HoofBeats with Heart Charity -Therapeutic Riding Program. The Celebrity Equine family is actively involved at the Scottsdale Arabian Horse Show in Arizona, “AA” HunterJumper Shows, Reining, Cutting, Mounted Shooting, Rodeo & Quarter Horse events from coast to coast. We strive for honesty, quality & integrity in all of our business endeavors.